Selected for their great looks and superior thermal performance our range of PVCu casement windows also offer the very highest levels of security. 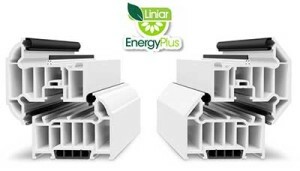 We manufacture our windows using Liniar’s EnergyPlus, six-chambered profile which offers unparalleled results and enables cost efficient double glazing to be used, achieving similar U-values and energy ratings to more expensive triple glazed windows with other systems without the need for costly thermal inserts. Our sculptured frames with ultra slim sight lines give clean and modern aesthetics. The stylish design with our unique hand finished fabrication will enhance the beauty of any property. The standard chamfered range gives a look of a traditional standard casement and shares the same slim sightlines and attention to detail in manufacture as the sculptured profile. 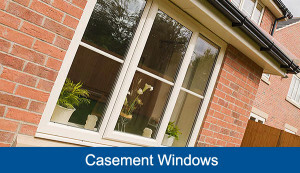 Our casement windows are totally lead free and 100% recyclable, thereby reducing environmental damage and meeting EU and UK legislation ahead of time. As the most technically advanced system available our windows easily achieve an A rating as standard with standard float glass on the outer pane rather than the more expensive low-iron glass required with other systems. We were also one of the first companies to be able to offer a true A++ window with our triple glazed system achieving an incredible A+25 WER. We use products you can trust as our casement windows can be supplied with Yale high security shootbolt locking which is also backed by their Security Guarantee means you will receive up to £1,000 towards home content insurance in the unlikely event of a break in. We also offer an optional stay guard to assist the hinge in case of crow bar attack. The easy clean hinges provide access to both faces of the window so that cleaning is easy and hassle free. 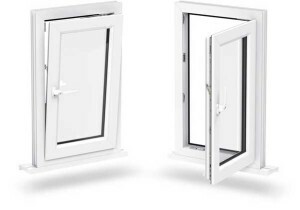 These hinges are a useful addition in situations where the outside of the window is hard to reach. 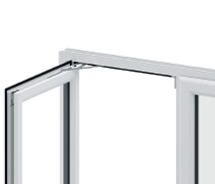 Our egress hinge will provide an emergency escape route in the event of a fire. Our casement windows are available in 11 different stock colours (with options to have colour inside and out and outside only) all manufactured in as little as 5 days with a further 9 foiled colours available to order. Demand for coloured themes for all products has soared over recent years as colour bonding technology has improved, you bring the colour to us you’d like and our specialist spray service. Now all products are available in any colour of your choice. All Easyglaze casement windows are guaranteed not to warp, split or discolour for a minimum of 10 years from the date of installation. Whether it’s opening up a scenic view or providing secure and unobtrusive ventilation, you’ll be amazed by the difference that our tilt & turn windows can make to any property. A unique dual-action movement, tilt back for ventilation without direct draughts then turn to open like a door for easy clean and perfect fire escape. 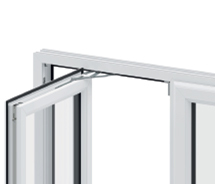 The locking system is a clever integral design meaning you don’t see any unsightly hinges on the face of the window and engages right round the perimeter of the frame for enhanced weather and sound proofing with our superior gaskets.